IOS image that supports EEM. Bruno’s twitter script. Download tweet-policy.tcl here. The IOS obviously must support EEM. Staying in the focus of the previous article, this is one of those really cool features, but possible something that you won’t easily use in production. Or maybe you would! How about taking your routers syslog events and sending them to a twitter account. That way you can easily keep on heights when something in your network goes really wonky.Why would you want to do this? To have a publicly accessable syslog replacement, or just because you can! Bruno Klauser from Cisco wrote a TCL script using EEM to tweet routers syslog messages to a twitter account. Here is an example of one tweeting router: EASyDMI. If you want to use this or give it a try, download the script at Cisco Land, and see my post on how to configure this. Ok, so we all know that a TCL can be cool. But are you using the easiest why to do the all well-known ping-script. Let me show you 3 ways to do the same thing, and then the really cool lazy way. First method is kinda cool, since you creating an executable file in flash that is there, to be used whenever. 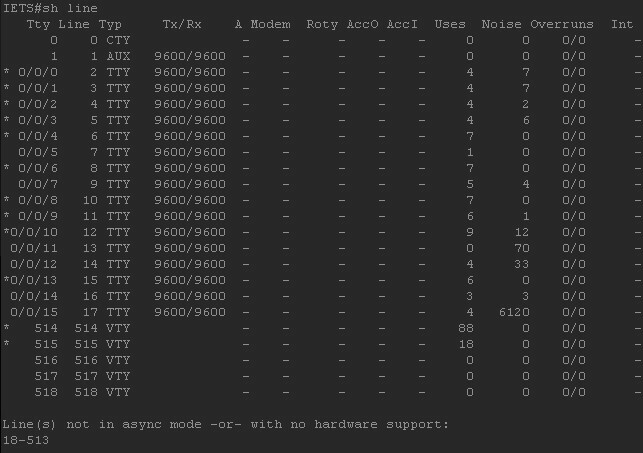 So you would like to Auto reload all the 6 of 10 routers in your rack and maybe you would like to clear the config at the same time? A ‘Send *’ from your Access-Server would apply to all connected routers and switches . Not cool, since you do not want to reload the backbone routers and the frame-switch’s config every time. And quite frankly erasing and reloading one router at a time is just to much work and wastes time. Studying for you CCIE? Then you will know you don’t have time to waste. action 1.0 cli command "write erase"
But really, this is still TOO MUCH work. Updating each initial config of every lab. There is always a “lazier” way to do stuff. What we need is a file saved on the router that is not affected when the config is erased. Hmmm…. a small TCL-script could do that. In a previous post, I showed how to deal with hung/orphaned telnet sessions. And although that works, I find it just to annoying to enter the same command 10 times over, apart from wasting time. So instead I wrote a really simple Tcl script yesterday, to accomplish the same. I say simple, because yesterday I didn’t really take the time to optimize the amount of lines in the scripts, which could easily be shortened to about 10 lines. Make no mistake, I’m not a code-monkey. The Cisco IOS Scripting with Tcl feature provides the ability to run Tool Command Language (Tcl) version 8.3.4 commands from the Cisco IOS command-line interface (CLI). TCL is pronounced ‘tickle’. More info in Cisco Land. We can create the TCL script manually every time, using TCLSH, but we not getting around the “being lazy” part. So a better way is to create the TCL script in flash, and execute the file from there when needed.